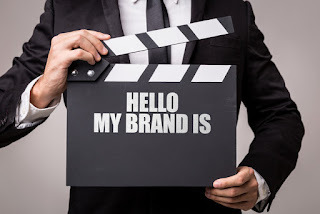 Your brand is much more than a simple logo or tagline; it is the sum of all the different interactions that your prospects and customers have with your organization. This could include printed correspondence, your website, phone conversations with your sales reps, and more. It's an intangible asset that is captured on your balance sheet in case you are selling your business, and it should be treated as your most valuable asset. Creating a cohesive brand experience for your customer begins with expressing your brand consistently across your various channels of communication. Your website is your digital front door, and when your brand isn't well represented on your website, then you can cause significant confusion among your core audience. When you work closely with a designer to translate your brand from printed pieces to the web, you're ensuring that customers and prospects are comfortable with interacting with your brand on any channel. If you are using social media channels to promote your brand, you may want to audit the design look and feel for consistency. Many brand managers find it easiest to define a brand across all channels during a refresh of the look and feel of your digital presence. Everything down to the color that you choose for your logo mark will help tightly define your brand. The brand "voice" that you define is essentially the personality for your brand. It's unlikely that a well-established bank would want to suddenly start using emojis in their brand communication, for instance. Alternatively, a fun and feisty new design firm would want to use different messaging than a financial institution! Your voice should be made up not only of the way you want your brand to appear, but also allow you to communicate effectively with your core audience. Based on demographics, your brand may have a slightly different voice when speaking to various audience segments. Each piece of marketing collateral that you create -- from letterhead to your website to your latest printed sales brochure -- should all have a cohesive design that sticks close to your brand guidelines. That doesn't mean that everything has to look the same, but when someone looks at a piece of your marketing materials, they should have that "Aha! I recognize this brand!" feeling immediately. In today's fast-paced digital world, it can be easy to create a new look for your website or emails and forget that your printed materials, such as business cards and letterhead, need to be refreshed to match an updated look.